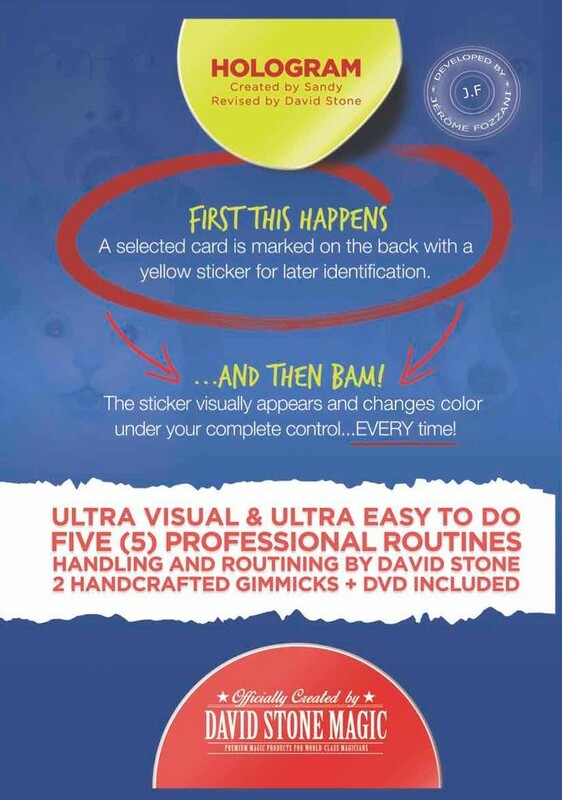 The spectator freely chooses a card that is "marked" on the back with a yellow sticker. You clearly lose the card in the deck and shuffle. Then you explain that you are going to make the card appear on the top... and thanks to the sticker, everyone will see it ! Indeed, with no suspicious movement, the sticker seems gradually appear on the top of the deck! It even looks like a hologram, as if it was unreal. The only problem is... the sticker appeared in red! Whatever, you just snap the fingers and the sticker turns into yellow ! It changes color instantly and on demand ! And to prove that this is the same card as earlier, you immediately give it for examination ! 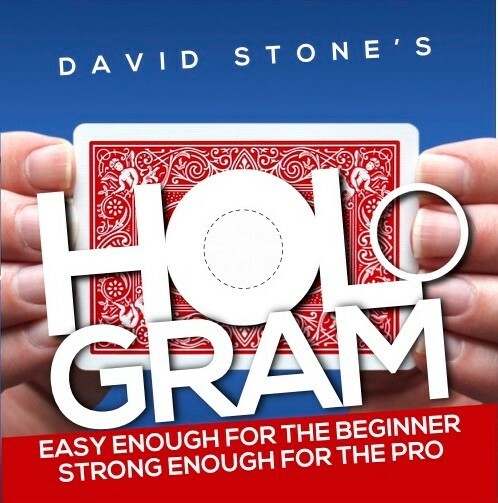 Originally created by the French magician Sandy, David Stone has bought the rights a few years ago and completely re-designed the gimmick. Although already spectacular, the original effect was not convenient in professional situations. David worked to solve all its weaknesses with the resistance of the gimmick as a priority. Also, helped by Jerome Fozzani, David managed to make sure that the routine could be performed under both daylight and artificial lights. Stone also designed special stickers made in a high tech material that look like regular stickers, but that you will use and re-use again... and forever. You no longer need to carry a bunch of boring sticky labels ! One only is enough for hundreds of performances ! But there is more ! David also offers 5 different routines along with multiple ways to make the sticker appear and to make it change color. Even the creator JB Dumas put his two cents by simplifying the final handling to make it easier ! You are no longer limited to the original method, but have enough variety to impress your audience with several appearances and astonishing change color! You get a completely re-designed gimmick, ready to be used in professional situations and for intensive use! 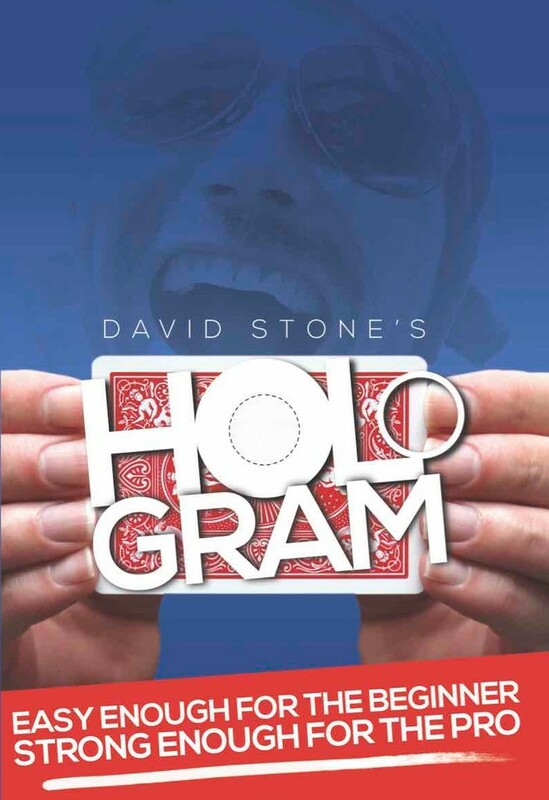 - Special features along with a 45 mn documentary about the conception and the story of Hologram from its genesis. (Red cards have Yellow & Blue stickers. Blue cards have Red & Yellow stickers).